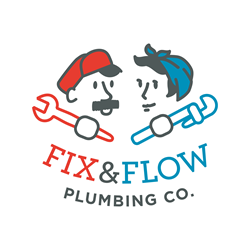 Fix & Flow Plumbing Co. has been listed on Angie’s List since 2018. This is the first year Fix & Flow has received this honor. About Fix & Flow Plumbing Co. Fix & Flow Plumbing Co. is a family-operated business located in Atlanta, Georgia offering expertise and service in a variety of areas, from installing kitchen and bathroom fixtures, to servicing water heaters, gas lines, sewers and drains, we’re here to help with problems big or small. At Fix & Flow, we take pride in our work. Our goal is to provide quality, dependable plumbing service and repair while building lasting partnerships with our customers. Give us a call at (404) 800-FLOW or visit https://www.fixandflow.co and let us know how we can help you!